Gold and silver figurines, trophies and desk sets. Dental gold including gold crowns and grills. 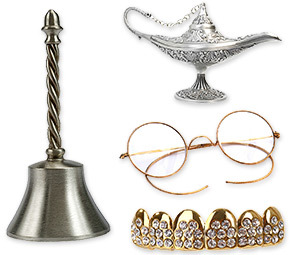 Don't worry about what shape your items are in – broken or tarnished gold, silver or platinum items are welcome.